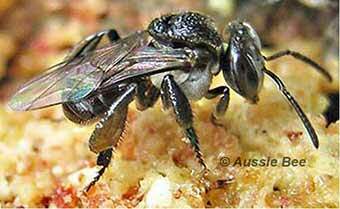 The Australian Native Bee Research Centre is privately funded. We create content for Aussie Bee Website, write books on native bees and conduct our stingless bee research, simply because we are passionate about the importance and value of Australian native bees. Donations from the public are of great assistance in the Centre's work to promote and conserve the native bees of Australia. Sales of the booklets, field guide and other products also support the work of the Australian Native Bee Research Centre. "Yes! I would like to help save native bees by making a donation to the Australian Native Bee Research Centre." Note: Donations to the Australian Native Bee Research Centre are unfortunately not tax deductible at present.